There are literally hundreds of different annuity types--enough to boggle the mind of anyone at first glance. Furthermore, the companies that issue annuities are busy creating new types of annuities every day to meet the changing needs of consumers. However, when all the different types of annuities are clustered together, it is easy to see that most differ on just a few important variables. The remainder of this discussion identifies these major variables, and subsequent discussions will explore the various annuity types in more depth. Caution: The following discussion includes references to certain guarantees made by issuers of annuities. Note that these guarantees are subject to the claims-paying ability of the issuing insurance company. What are the different ways in which companies invest annuities? A variable that separates one annuity from one another is how an issuer invests your money once you purchase an annuity. There are three broad methods that issuers use to invest your money: fixed, variable, and equity-indexed. Historically, fixed annuities were the only type of annuities that companies issued. A fixed annuity pays a fixed, set rate of interest, which could change periodically, on the money invested in the annuity. In many cases, the annuity issuer will pay a guaranteed minimum rate of interest on the annuity account but also hold out the possibility that it will pay a higher rate of interest if market conditions permit (i.e., interest rates have risen on other money market instruments). To induce people to purchase fixed annuities, many issuers also will pay a much higher rate of interest for an initial period of time--usually a year. This higher rate of interest is sometimes called a bonus interest rate. Thus, the issuer may agree to pay 6 percent for the first year and then pay no less than 3 percent annually on the annuity after the first year. Usually, the annuity issuer will pay more than the minimum guaranteed rate on the fixed annuity. Fixed annuities are conservative investments for individuals who prefer fixed rates of return on their investments. Instead of receiving interest on the money invested in your annuity, you may choose a variable annuity that allows you to invest your annuity money in one or more investment subaccounts. The subaccounts (often called variable subaccounts, flexible accounts, or flexible subaccounts) will then invest in stocks, bonds, money market instruments, and other types of investments. Many variable annuity issuers may offer 6 to 10 different subaccounts. The annuity issuer will allow you to allocate your money among the different accounts in any way that you desire. Furthermore, most annuity issuers allow you to move money from one subaccount to another without incurring costs (and there are usually no tax consequences). With a variable annuity, the amount of earnings that will be credited to your annuity account will depend on the performance of the underlying subaccounts. Unlike a fixed annuity, you assume the investment risk on the annuity. Some years, you may do very well, while in others, you may lose money. 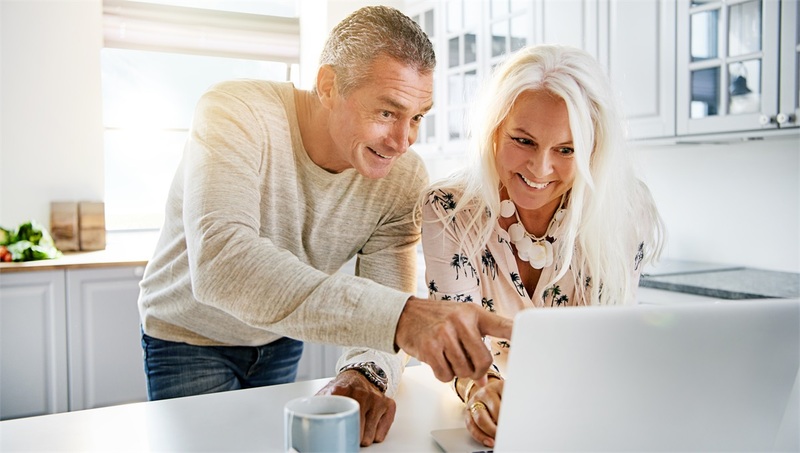 In recent years, variable annuities have become very popular, as people have been more willing to take the added risk to try to pursue higher returns than what is available on fixed annuities. Caution: Variable annuities are sold by prospectus. You should consider the investment objectives, risk, charges, and expenses carefully before investing. The prospectus, which contains this and other information about the variable annuity, can be obtained from the insurance company issuing the variable annuity or from your financial professional. You should read the prospectus carefully before you invest. A third broad type of annuity is an equity-indexed annuity. This type of annuity is sort of a hybrid between a fixed annuity and a variable annuity. When you purchase an equity-indexed annuity, the issuer agrees to pay a return on your account that is tied to a stock market index--usually the S& P 500. However, the issuer also guarantees to pay you no less than a certain return in a given period if the return on that stock market index falls below that minimum percentage. Thus, if stocks do well, you earn above-average returns on your annuity, and if stocks fall in value, you will not lose money (as you would with many variable annuities). One of the tradeoffs to an equity-indexed annuity is that the issuer will typically not pay you the full return on the equity index. Many equity-indexed annuities have caps (e.g., the most the issuer will pay you is 12 percent per year even if the equity index does much better than that). Furthermore, many issuers will pay you only a certain percentage of any given return in the equity index--called the participation rate. Assuming a 75 percent participation rate, if the equity index goes up 10 percent in a year, then the issuer may only credit your account with 7.5 percent for that period. Thus, with an equity-indexed annuity, you give up some of the upside potential for some protection on the downside. A fourth type of annuity is a guaranteed annuity contract. This type of annuity covers a group of people (annuitants) who are usually linked through work or membership in a group or organization. A guaranteed annuity is similar in some respects to a fixed annuity because the issuer of the guaranteed annuity usually guarantees that the annuity will be credited with a fixed rate of interest for a certain period of time. The insurance industry has developed many specialized types of guaranteed annuities to meet the specific needs of corporate customers. For example, large corporations often use guaranteed annuities to fund their defined benefit pension plans. A fifth type of annuity is the two-tier annuity. A two-tier annuity is a type of fixed annuity in which the interest rate credited to the annuity varies depending on the distribution option that you choose. Typically, if you elect not to annuitize (and therefore maintain ownership of the money in the annuity), the annuity issuer will use a lower interest rate to credit your account. By contrast, if you elect to annuitize and receive a series of annuity payments over a period of time, the annuity issuer will use a higher rate of interest to credit your account. These are the views of Forefield Inc., not the named Representative nor Broker/Dealer, and should not be construed as investment advice. Neither the named Representative nor Broker/Dealer gives tax or legal advice. All information is believed to be from reliable sources; however, we make no representation as to its completeness or accuracy. The publisher is not engaged in rendering legal, accounting or other professional services. If other expert assistance is needed, the reader is advised to engage the services of a competent professional. Please consult your Financial Professional for further information. Securities offered through DFPG Investments, Inc Member FINRA/SIPC. Advisory services offered through DFPG Investments, Inc a registered investment advisor. Serratelli Financial Group is independent of DFPG Investments, Inc.